Meet the latest teen superheroes as they embark in their high-octane journey on screen in the all-new “Power Rangers” movie. Saban’s “Power Rangers” follows five ordinary teens who must become something extraordinary when they learn that their small town of Angel Grove — and the world — is on the verge of being obliterated by an alien threat. Chosen by destiny, our heroes quickly discover they are the only ones who can save the planet. But to do so, they will have to overcome their real-life issues and before it’s too late, band together as the Power Rangers. Saban’s Power Rangers, re-envisions the Power Rangers as five ordinary high-school teens who discover they have acquired unique super powers and must join forces to save the world. To play the iconic Power Ranger roles, the filmmakers assembled a diverse ensemble of emerging young stars who share many characteristics with their characters, and their predecessors in the roles, says director Dean Israelite. Jason, the Red Ranger (played by Dacre Montgomery) was a football legend in his small town of Angel Grove until one fateful mistake. When we first meet Jason, he is in need of redemption and is struggling to find himself. But soon he is given a chance to lead a new team made up of an unlikely group of teenage superheroes and must find it in himself to rise to the challenge. Kimberly, the Pink Ranger (Naomi Scott) used to be Queen Bee of Angel Grove High, but has been cast out of the popular clique and is now struggling to find her identity. She has a new rebel-without-a-cause, edgy attitude, but this front is hiding a secret that makes her feel deeply vulnerable. Billy, the Blue Ranger (RJ Cyler) has always been challenged in his abilities to communicate and interact socially. Whip-smart and sweet, he is the most pure-hearted of the group. Billy has never really had any friends, so finding teenagers that he is comfortable with is a big deal, and soon he begins connecting with people in a way he’s never been able to do before. Trini, the Yellow Ranger (Becky G) is mysterious but extremely bright. Her parents constantly move for work, making her the perpetual new girl to any school. A loner who owns it, Trini is self-sufficient and contemplative, but always observant. All she wants is to find her gang of friends, but she’ll never admit it — least of all to herself. Zack, the Black Ranger (Ludi Lin) is filled with bravado and swagger. He is tough and cool on the exterior but has many layers beyond his fearless appearance. Zack advertises everything about himself, except the truth, which makes him feel deeply inferior to all his peers. 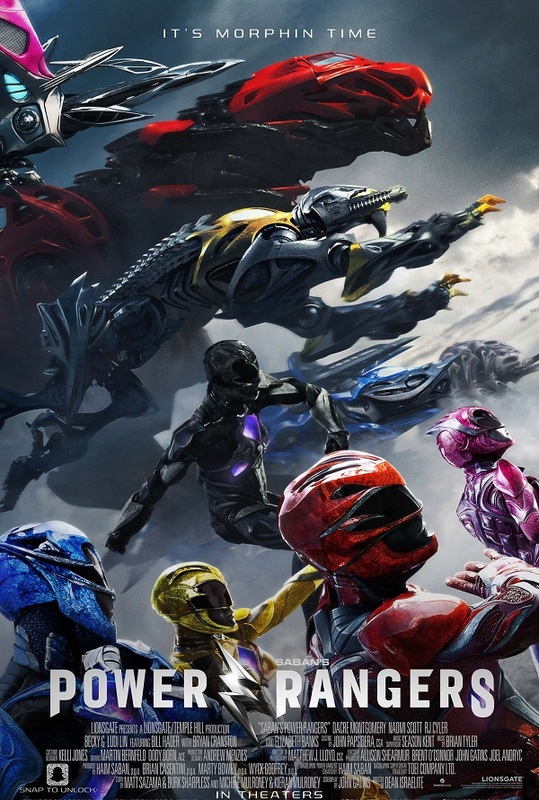 “Power Rangers” opens March 22 at your favorite theatres nationwide from Pioneer Films.